CLOSEOUTS. 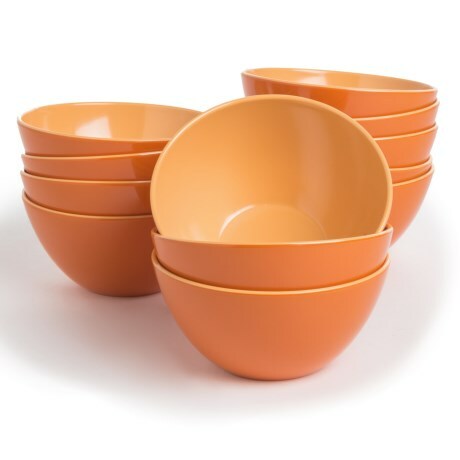 Add instant cheer to your cabinets when these Knack3 Bohemian Brights bowls move in! The deep design happily houses ice cream, salads, soups and more. Available Colors: BLUE, GREEN, ORANGE, PINK. CLOSEOUTS. Brighten up every meal with Knack3and39s Bohemian Brights dinner plates. 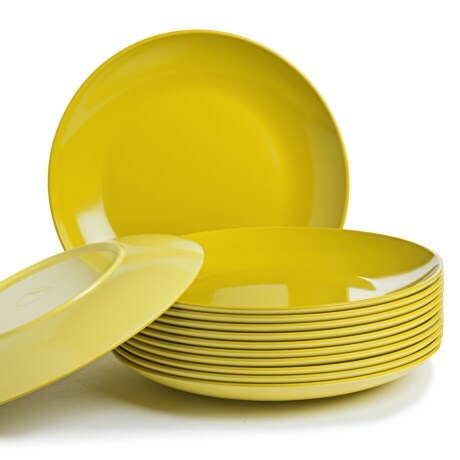 The 12 piece set in bold, two tone colors is constructed of durable melamine for years of dining pleasure. Bon appetit! Available Colors: BLUE, GREEN, ORANGE.